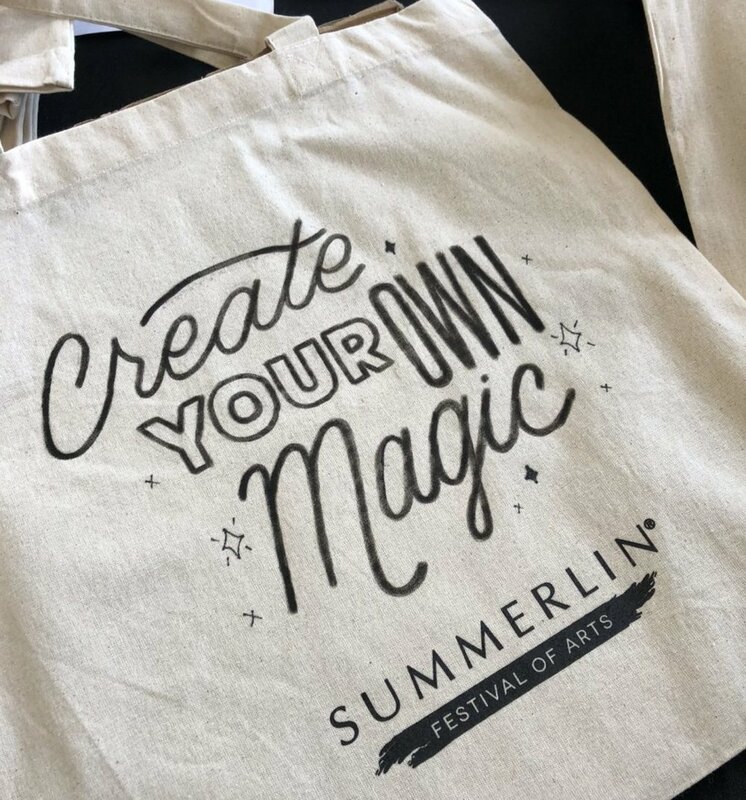 Summerlin Festival of the Arts — Pandr Design Co.
Every year, Downtown Summerlin opens its doors to the creative wonder, none other than Summerlin Festival of the Arts. Live art lettering al fresco, dining and entertainment for this two day event. Because this event donates to Project Imagine, it has a special place in our hearts. Project Imagine is an Arts in Medicine program bringing creative expression to hospitalized children! Also, they’re helping alleviate the isolation and anxiety that occurs in their lives. This foundation focuses on bringing happiness into their days. So we couldn’t be more happy to promote that. 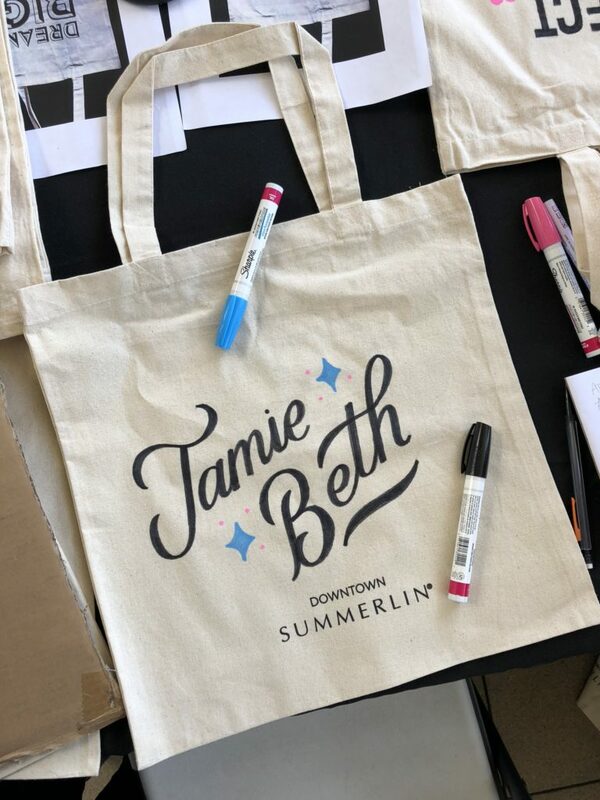 Also, for every bag that was sold, Summerlin donated $5. This is such a great way to spread their message! We love to spend our days meeting people for a great cause and doing what we love! Check out their awesome work by clicking here. Live lettering is a fun way to watch us working. Because audiences love watching a process from start to finish, we work quickly! The sooner the customer gets their bag, the sooner a child gets an art project in their hospital. This really means a lot to us. Live lettering also gives the chance to meet fans face to face–another part that makes our work so meaningful! We love seeing customers light up when they see their custom item!